The Memorial Art Gallery of the University of Rochester offers a panorama of 5,000 years of world art. Spanning from ancient to contemporary, our expansive collection of over 12,000 objects can enrich the study of disciplines in the humanities and the sciences, enhancing students’ visual literacy, writing, and critical thinking skills. The MAG also boasts an exciting calendar of special exhibitions that reflect current topics and trends. MAG invites collaboration with UR faculty, students and student organizations. College and university classes and groups can schedule a tour or choose a self-guided visit. 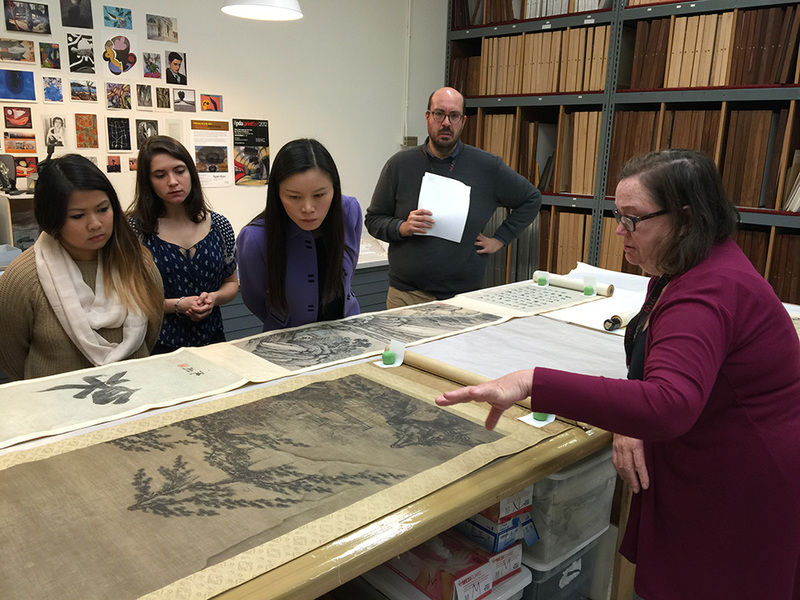 Faculty can make special arrangements for their class to see works from the Prints and Drawings collection which are not currently on view. In addition, the museum has a flexible classroom space that can be reserved with advance notice if there is need for a more formal learning environment during your visit. Additional options include: on-campus classroom visits, multi-session visits, or other forms of programming, tied to curricular needs. A unique partnership between MAG and the College’s Writing, Speaking, and Argument Program brings freshman writing classes to the museum for discussions about art. Read more. Round-trip transportation between the UR campus and the museum is provided by the University and arranged by the museum for all courses. While many instructors schedule a visit during class time, we are also available to meet with you and your students at other times. FREE for University of Rochester students, faculty and staff with valid ID. FREE to Nazareth College students and faculty with valid ID.